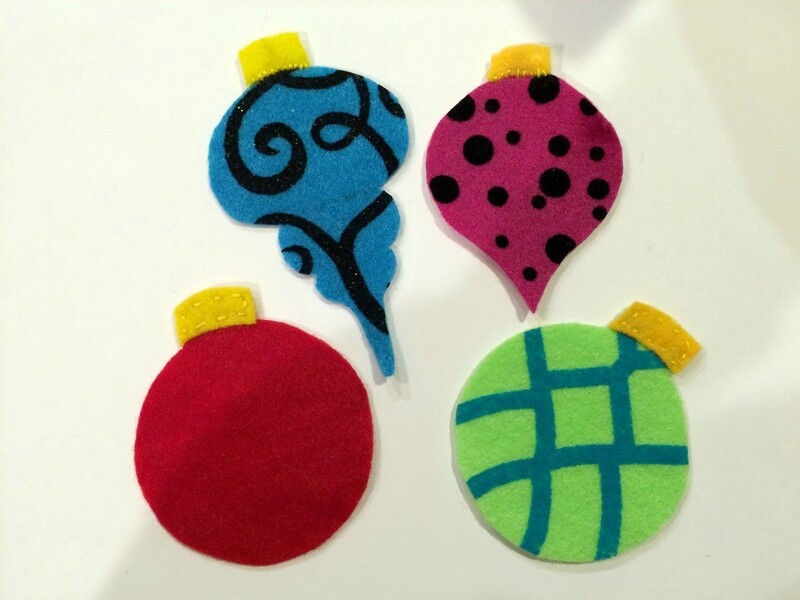 With these felt ornaments you can enjoy the look of antique ornaments without worrying about breaking them. Create templates based on antique ornament designs. Fold the cardboard in half and draw half of the ornament along the folded edge to create a symmetrical shape. 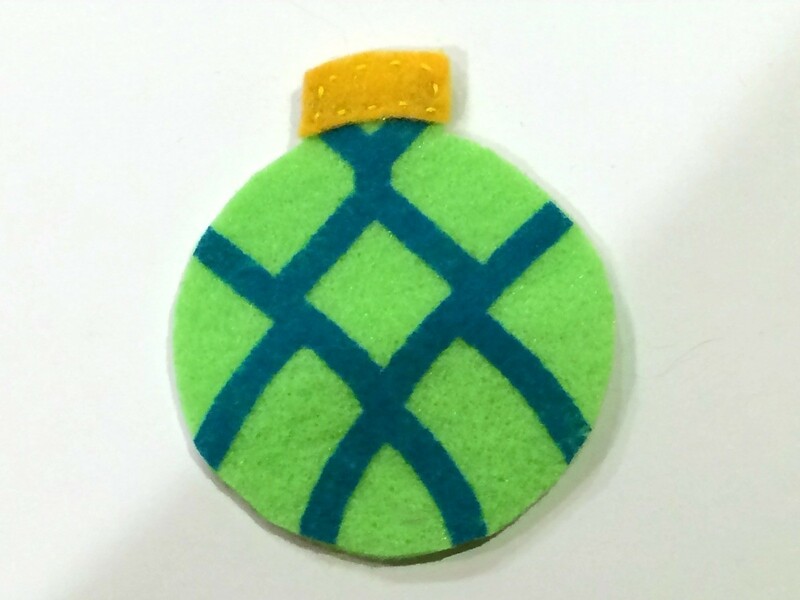 Create a top for the ornament if desired. NOTE: I looked online for inspiration. Attach the templates to the felt using rolls of tape. 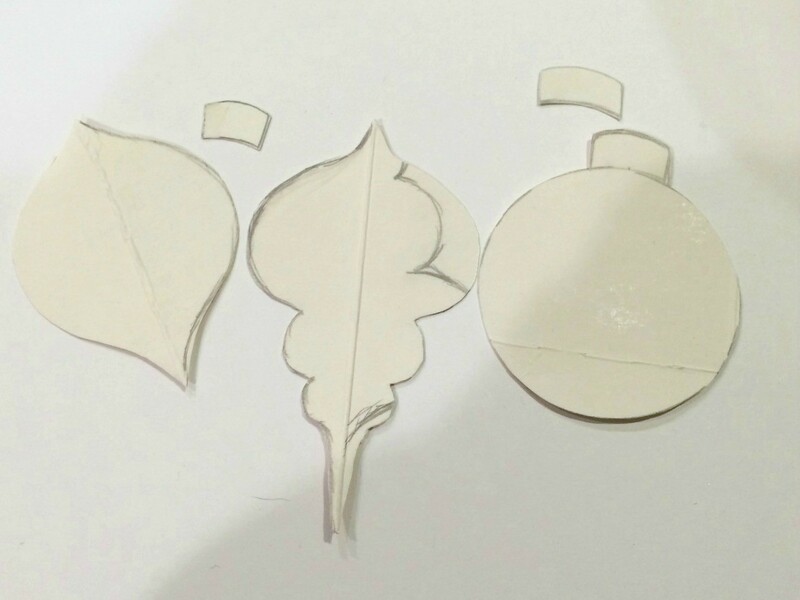 Cut out each shape. Sew the top to the ornament using coordinating embroidery floss.